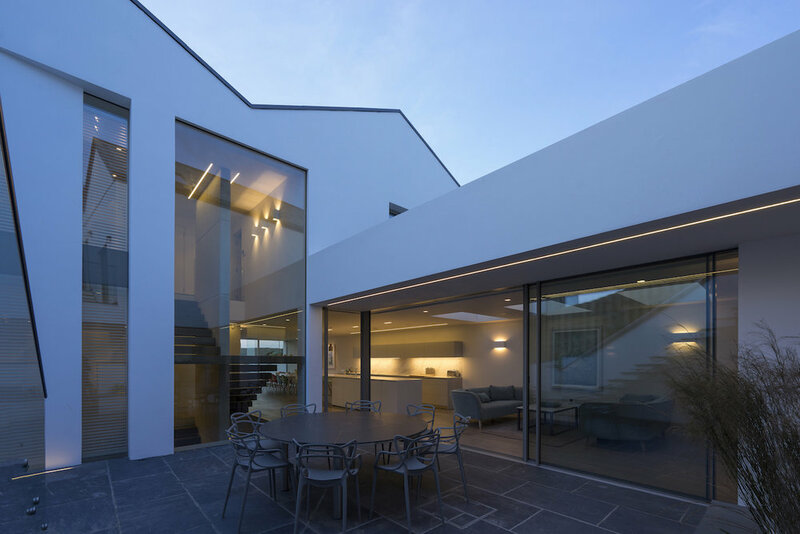 Located along the picturesque coast of Cornwall, the project is a contemporary interpretation of the traditional Cornish vernacular with its pitched roof form and material palette of local quarried slate, timber and painted render. 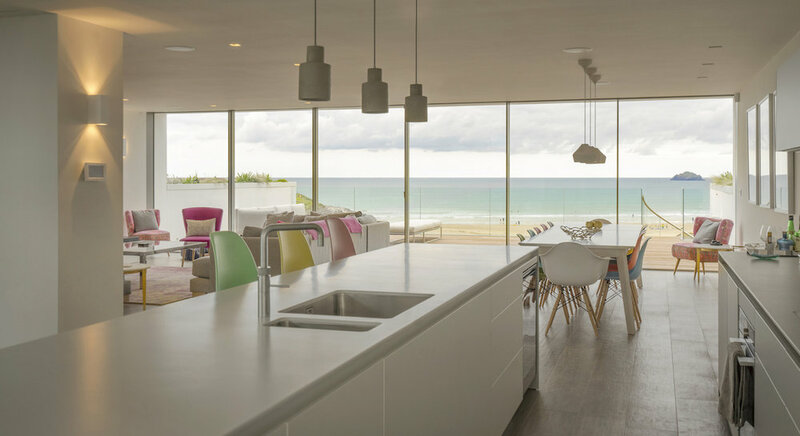 The brief for the holiday home, located a stones throw from the beach, was to create a bespoke surf retreat for the coming together of the client’s family and friends. 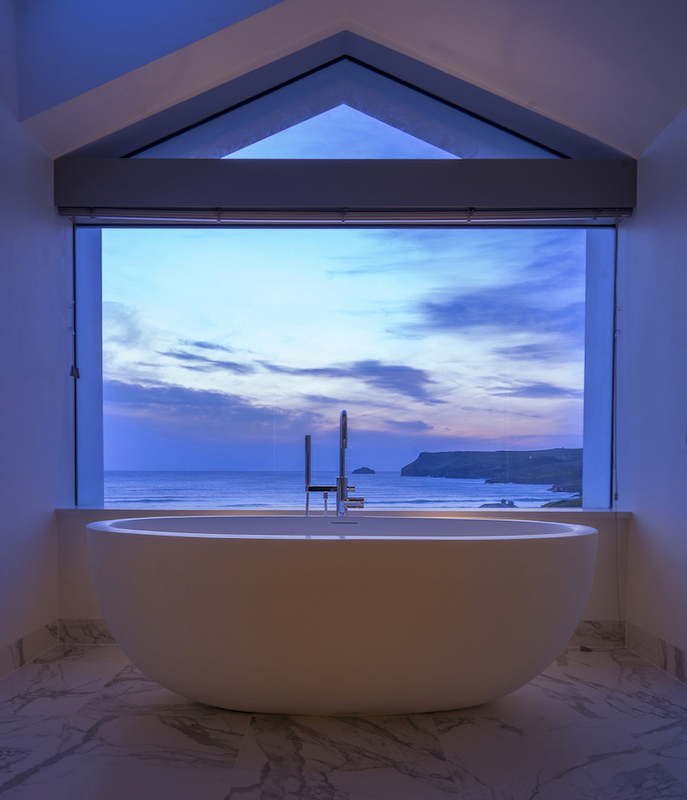 This allowed a strong design approach that required both intimate and communal spaces whilst opening up to the dramatic views of the Atlantic Ocean beyond. 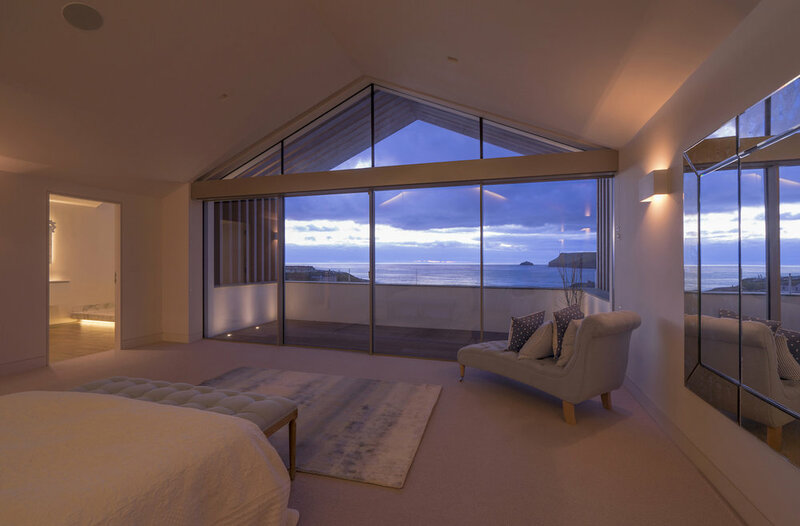 The house is split over 3 levels and sunken into the hillside of the steeply sloping site to minimise its impact on the surrounding buildings whilst maximising the sea views. 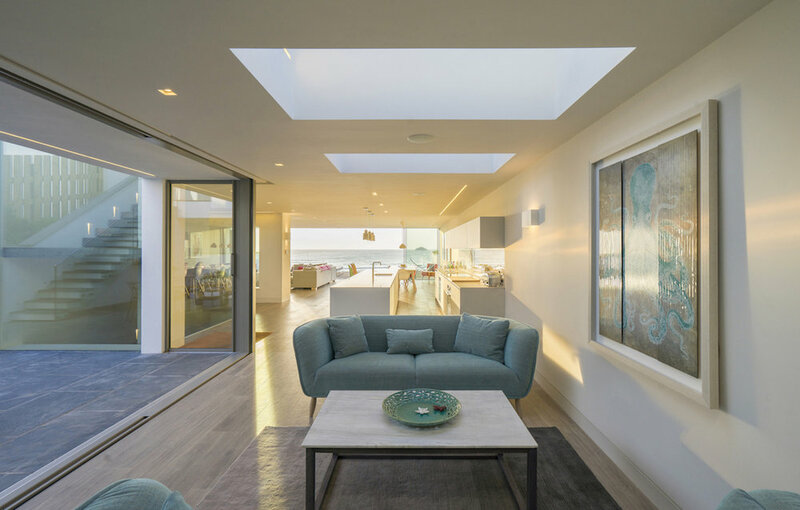 The open plan living space stretches across the ground floor and connects to an expansive terrace that reaches out seaward for a dramatic setting. 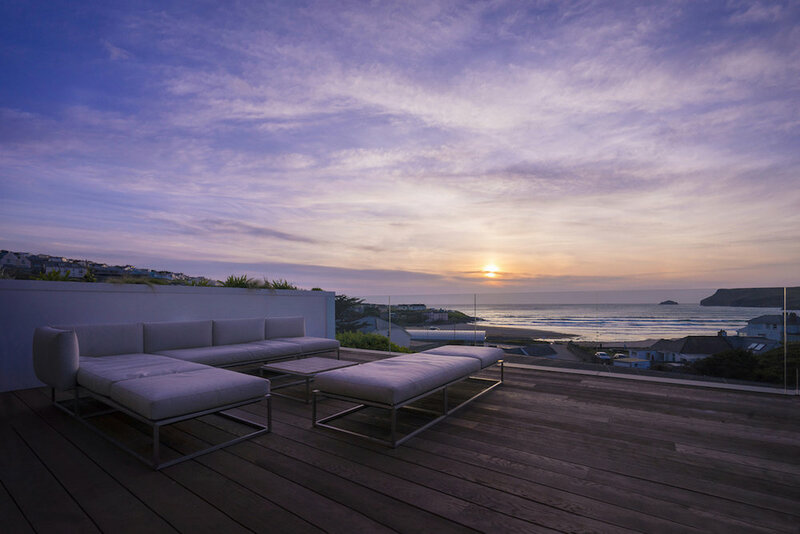 The master bedroom is situated on the top floor with its own sheltered private balcony. Further bedrooms are located on the lower ground floor with direct access onto the garden. 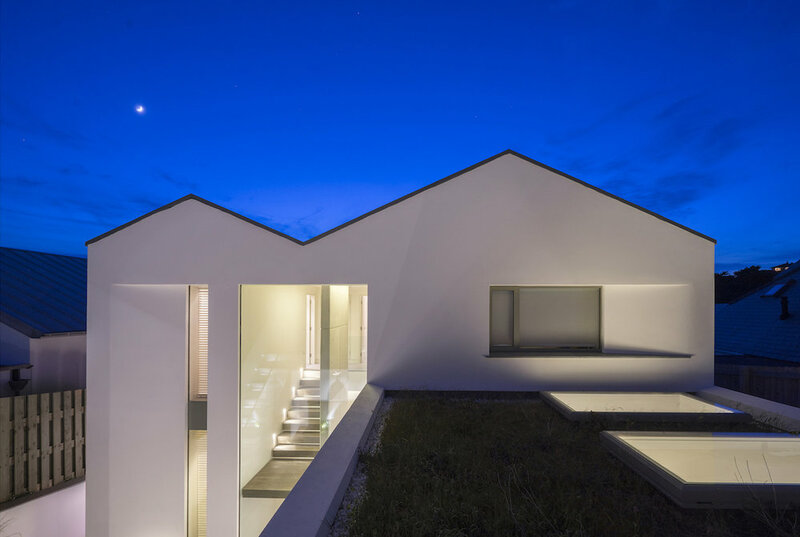 The site can be entered from both ends with the ‘front’ door located at the heart of the house and within a sunken courtyard that captures the southern sun and offers privacy from the neighbouring properties, protection from the ocean and breaks down the mass of the building. 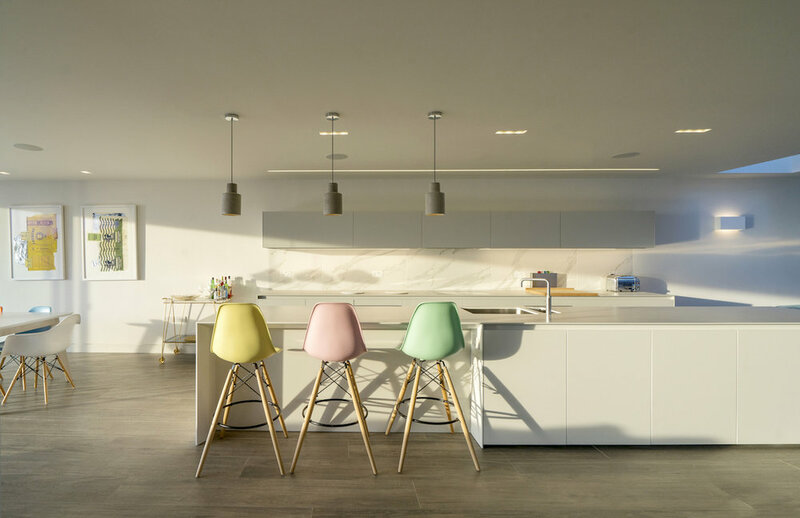 Consideration was given for the need of an open plan, and easily adaptable living space. 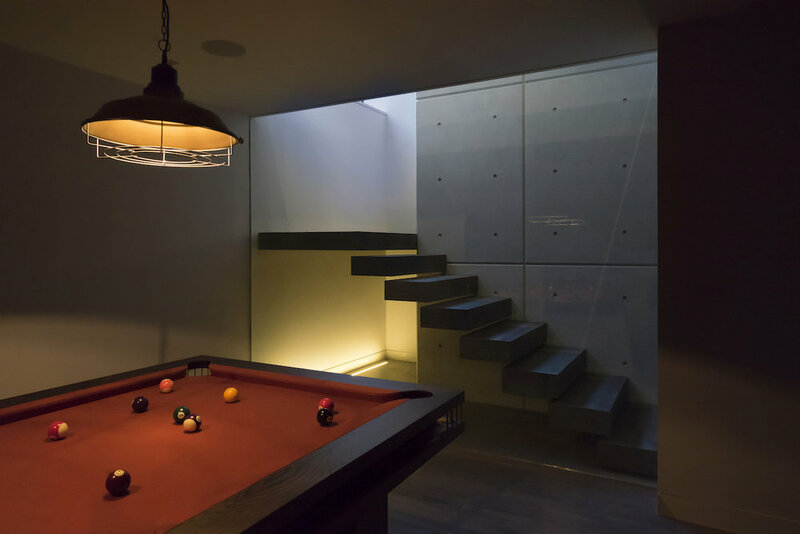 The layout provides a number of different, but connecting spaces, to satisfy the different needs of everyone in the house from playing pool on the lower ground floor to having a shower after surfing and using the spa area. 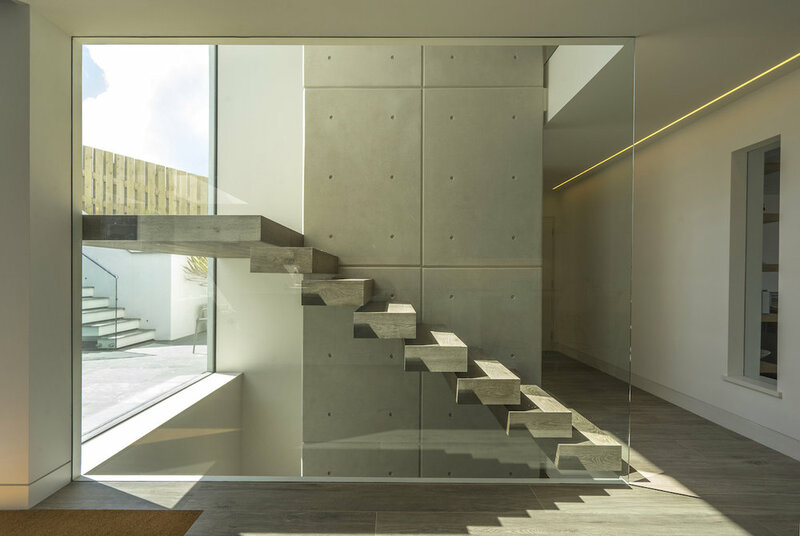 The 3 storeys are connected by a concrete ‘spine’ wall and cantilevered staircase that forms the centrepiece of the whole house and its interconnecting spaces and functions.